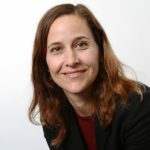 As part of Early Edge CA’s mission to advance early childhood education (ECE) workforce issues in our state, we’d like to share some updates on California’s plan to implement the recommendations of Transforming the Workforce for Children Birth Through Age 8: A Unifying Foundation (TWB8) (2015). The national TWB8 report provides a promising roadmap for addressing the need for additional training, support, and compensation for early learning educators. The California Department of Education, Early Education and Support Division (EESD) and First 5 California are in the process of developing an ECE Career Lattice that will outline pathways for the professional advancement of the ECE workforce. 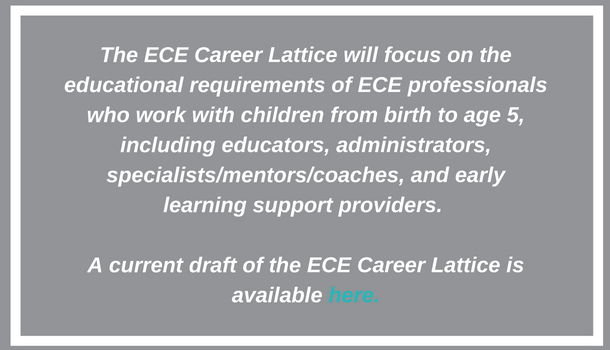 The public is invited to a presentation of the final version of the ECE Career Lattice for adoption by the State Advisory Council on Early Learning and Care (SAC) on June 20, 2018. For information about this meeting click here. Last week, the CTC circulated draft PEs for assistant teachers, teachers, master teachers, and administrators, as well as surveys for statewide ECE stakeholder feedback on each set of draft PEs. These surveys will remain open until Friday, July 13, 2018. 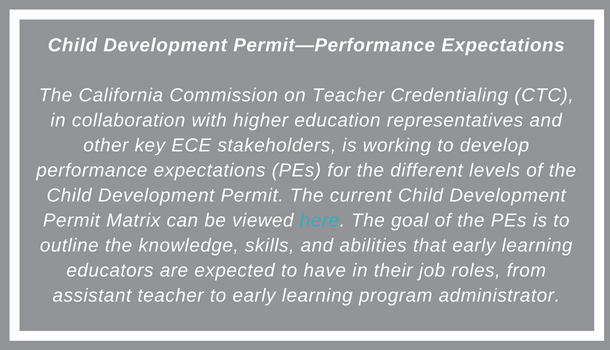 It is important that the CTC receive a robust response from the ECE field to these surveys to help ensure that the draft PEs reflect the competencies necessary for the workforce to provide high-quality early learning experiences for children in California. The draft PEs, along with an update on the work around the Child Development Permit, will be presented at the upcoming CTC meetings on June 14 and 15, 2018. These meetings are open to the public. Click here for meeting location and information. CTC meetings are also broadcast live and recorded for later viewing here. 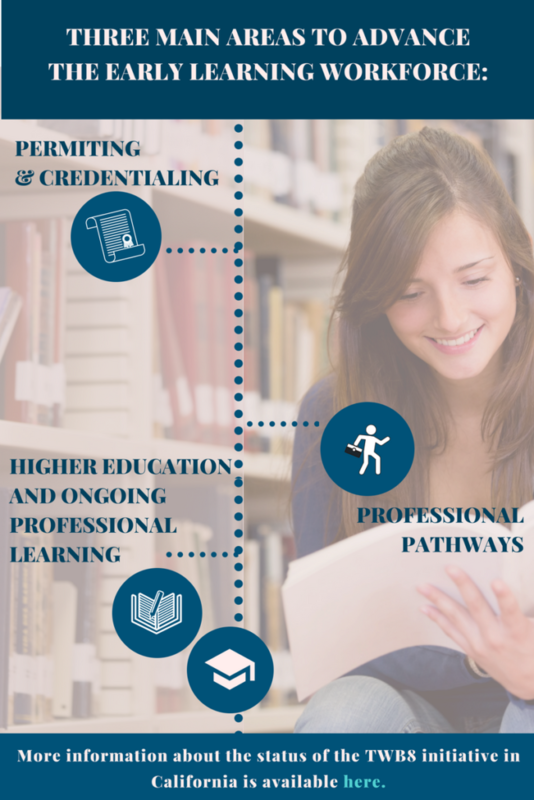 Implementation of the draft PEs will be piloted at selected ECE higher education programs this fall, and the final PEs will be presented to the CTC for review and adoption in the summer of 2019. More information on the proposed timeline for this work is available here. We look forward to monitoring the progress of California’s TWB8 initiative and we will continue to share updates on these important efforts to improve the quality and access of early learning experiences for children and families in our state.